Located at 881 Broadway, Lucki-Urban was one of the most successful furniture and appliance stores in Western New York. This jingle appeared on a promotional 78 rpm record provided to customers with a purchase of a record player or stereo. 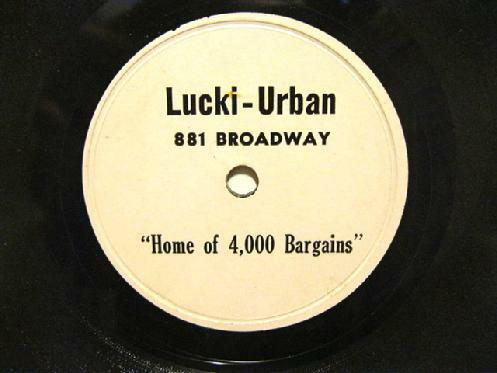 Lucki Urban was founded by Edward Przylucki and Walter Urbanski in 1947. Polka legend Gene Wisniewski provided the vocals for the classic track.